Each U.S. military service has regulations that require members to provide adequate support to family members. However, without a court order, the military can't compel a member to pay support. Exactly what constitutes adequate support differs among the services, and each branch enforces its rules a little differently. Here's how support payments are handled across the various branches. Army Regulation 608-99, "Family Support, Child Custody and Paternity," requires a soldier to provide an amount equal to the basic housing allowance at the "with dependent" rate, unless a court order or written agreement provides for a different amount. If the soldier has more than one support obligation, that amount is divided equally among the supported parties. This is not an absolute requirement, however; the regulation contains provisions that allow the commander to waive requirements in certain cases, such as when the spouse makes more money than the soldier, if the soldier is a victim of abuse, or if the family member is in jail. Air Force Instruction 36-2906, "Personal Financial Responsibility," does not specify a dollar amount for adequate support. In the absence of a written agreement or court order, adequate support is determined by the individual commander, based on the circumstances. The Naval Personnel Manual Section 1754-030 provides the following guidance to commanders for determining adequate support in the event of a nonsupport complaint, where there is no court-ordered amount, nor written agreement. Gross pay includes base pay and basic allowance for housing (if entitled), but does not include hazardous duty pay, sea or foreign duty pay, incentive pay, or subsistence allowance. If a commander does elect to punish a military member for failing to pay support, any such administrative sanctions are protected by the Privacy Act of 1974. Therefore, the commander cannot even legally inform the complainant that the member has been punished. In addition to individual service regulations, the Department of Defense Financial Management Regulation prohibits payment of the basic allowance at the with-dependent rate to members who refuse to provide adequate support to their dependents. The regulation also contains provisions to recoup any BAH payments already made for periods of nonsupport. The best way of ensuring you receive spouse/child support from a military member is by obtaining a court order. If the member still fails to pay, you can return to court and obtain a garnishment or involuntary allotment order. This order allows you to have the support payments taken directly out of the member's pay, through the Defense Finance and Accounting Service (DFAS), completely bypassing the military chain of command. Keep in mind, however, that service members have certain legal protections under the Servicemember's Civil Relief Act. For example, if a service member cannot appear in court due to military necessity (if the member is deployed or assigned overseas), and the commander certifies that leave is not possible, the court must grant a 90-day stay (delay) in any court action. Upon application to the court, the member can request that such stays be extended. It's best to make your complaint in writing. If you don't know where the member is stationed, you may have to use one of the military's locator services. Another option is to call the base locator. Each military base operates a locator service, which can release (nonprivacy act) information about military members assigned to that base. Whether you elect to write or call, keep your communication unemotional and to the point. Simply state that your spouse is failing to make support payments as required by [agreement, court order, etc., if applicable] and military regulations, and you're requesting assistance to obtain the required support. Include all facts related to the support (date of separation, date member stopped providing support, and so on). Federal law authorizes garnishment against the pay of military members to enforce child support and alimony in accordance with state law. Garnishments may be placed against the pay of active-duty, Reserve, Guard, and retired military members. The procedure to obtain a garnishment order is determined by state law. 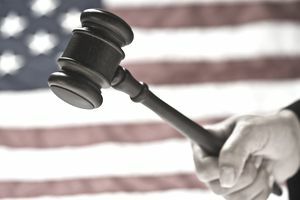 However, federal law determines how the garnishment order is applied to military pay, that is, how service or process is accomplished, the type of pay subject to garnishment, and so forth. Unless state law specifies a lesser amount, federal law provides a limit of 50 percent of the member's aggregate disposable earnings for any workweek if the member is currently supporting a second family (spouse or child) and 60 percent if the member is not supporting a second family. The percentage may be increased by 5 percent if the arrearage is 12 weeks or more. Federal law authorizes allotments from active-duty military pay in order to satisfy child support and alimony obligations. Alimony alone does not qualify under this law. These statutory allotments may only be paid from active-duty pay. A statutory allotment may be initiated when child support and alimony payments are at least two months in arrears. Allotments cannot exceed 50 percent of a member's pay and allowances if the member is supporting a second family. If the member is not supporting a second family, the allotment may not exceed 60 percent.